Abraham Ancer, of Mexico, watches his tee shot on the third tee during the third round of the Quicken Loans National golf tournament last month in Potomac, Md. 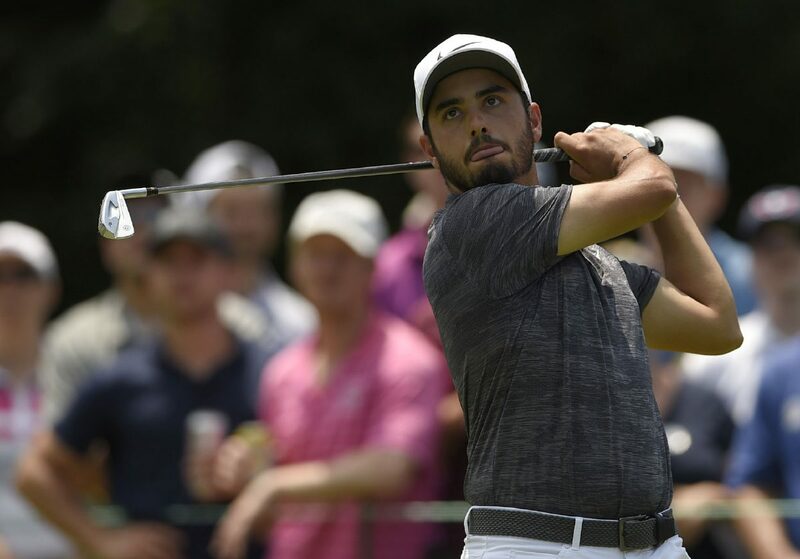 Former Sharyland golf standout Abraham Ancer shot a 7-over par 78 on Friday in the British Open. His two-day total of 149 will likely not be good enough to make the cut. Ancer is 5 shots behind what is expected to be the cut to advance to the Saturday and Sunday rounds. Friday’s round is still ongoing. On Thursday, Ancer’s scores were much better, shooting an even 71. His Friday round included five bogeys and one double bogey.